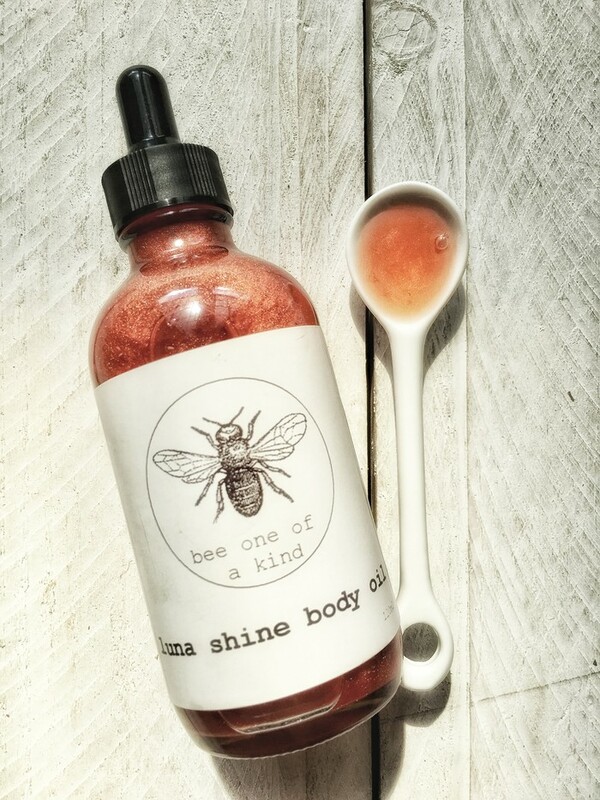 Bee one of a kind's LUNA shine body oil is heaven in a bottle! A luxurious and nourishing oil designed for face and body, packed with skin loving ingredients. Natural in vitamin E for skin healing, moisturising and repair. A collection of invigorating and sensual essential oils such as lavender, lemon, pink grapefruit and frangipani. It will leave your skin feeling soft and smooth and smelling like a tropical paradise! Not to mention adding a touch of shimmer and radiance. Made with chamomile infused rice bran oil, 100% pure sunflower oil, evening primrose oil, essential oils of lavender, lemon, pink grapefruit and frangipani and mica pigment. 100% natural. 100% skinfood. 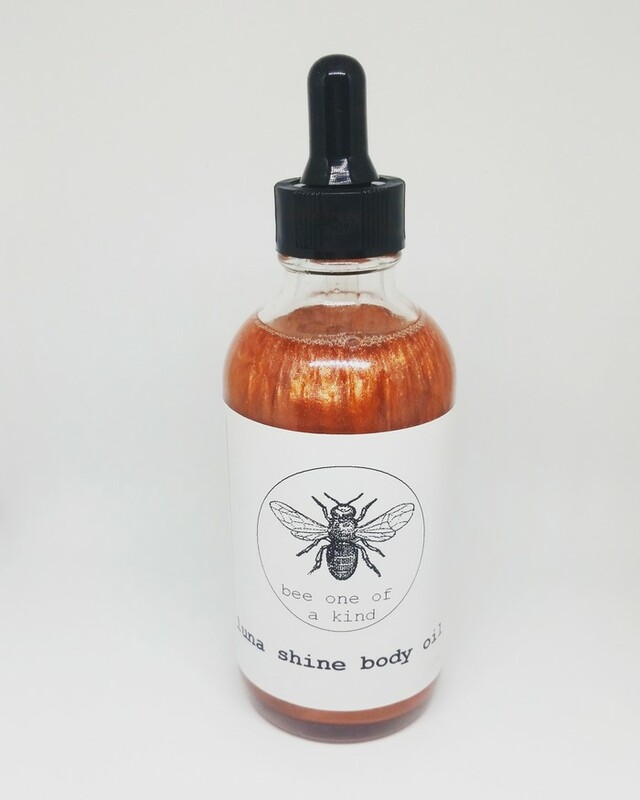 100% have you feeling like a Queen bee.